The last Planning Committee of 2017 was held yesterday and I am pleased to report that it was all squared up by 12:30pm (in other words a fast meeting). It might have finished at 12 but Councillor Wayne Walker was quite insistent on his six questions for one of the items – cheers Wayne. The Planning Committee today approved the draft revised Auckland Plan for formal public consultation from 28 February 2018. It also considered two private plan change requests and received reports on the National Policy Statement on Urban Development Capacity. Councillor Chris Darby, Planning Committee chair, says the Auckland Plan is an enormous task that sets out a grand vision for the next 30 years that is dynamic, exciting and almost changing by the day. “The Plan is the way we share with Aucklanders how the council will address all the big issues facing our region. It provides certainty to Aucklanders, Mana whenua, government and the private sector about where and how we will grow over 30 years further reinforced by our other strategy and delivery plans. “Further work and public consultation in the new year will help to shape the Plan to further reflect the views of our communities. “We also expect to see some significant contributions from the government in the new year as it develops its government policy statements on the big issues like transport, housing and urban regeneration which are all components within our Auckland Plan”, says Councillor Darby. The following is a summary decisions made at today’s meeting. Items 1-8 were administrative items. The Committee approved the draft Auckland Plan for public consultation which will run from 28 February to 28 March 2018. 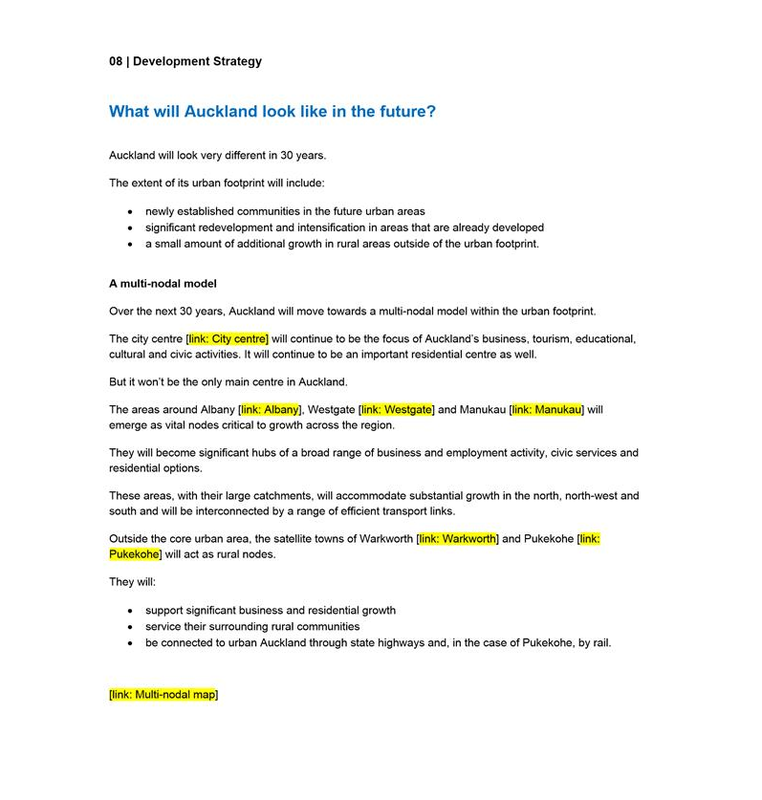 A copy of the draft Auckland Plan is available in the meeting agenda on the Auckland Council website. The Planning Committee has previously agreed to a joint consultation process for the Auckland Plan and 10-year Budget 2018-28. The consultation document will be approved by the Governing Body on 7 February 2018. 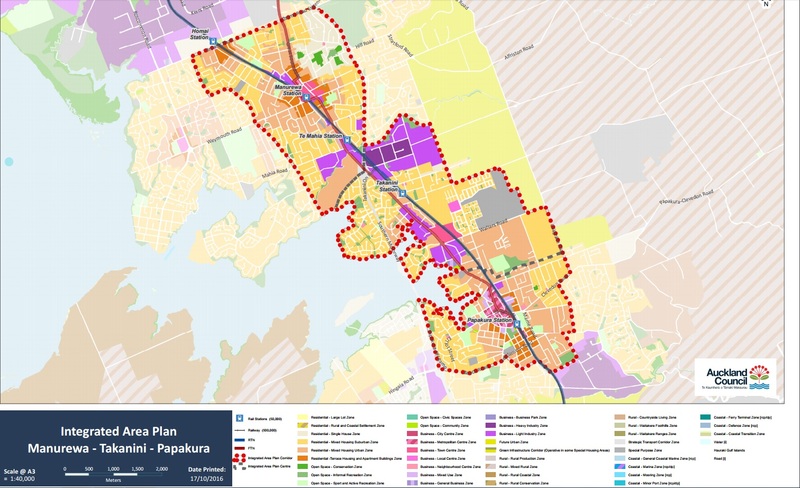 The Manurewa Takanini Papakura Integrated Area Plan, which provides a planning framework to guide how the area grows and develops over the next 30 years, was endorsed by the Committee. The area plan has been prepared in consultation with the wider community and their feedback has helped shape the content. During the community engagement period’s feedback was received from over 5000 people. 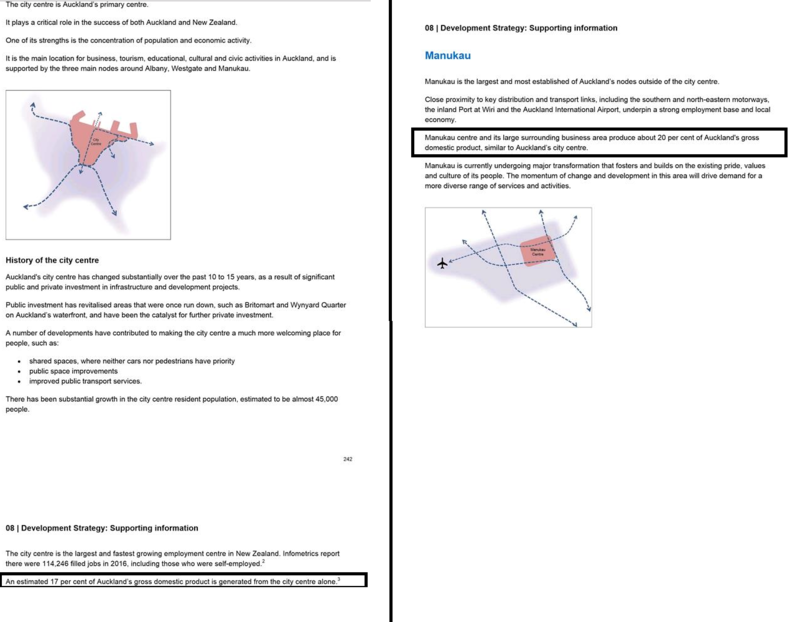 A copy of the Manurewa Takanini Papakura Integrated Area Plan is available in the meeting agenda on the Auckland Council website. Integrated Area Plan for Manurewa, Takanini and Papakura. The Committee agreed to publicly notify the private plan change request by King’s College to rezone two land parcels, one to the north east of the main campus and the other to the south of the main campus. The private plan change will rezone land adjoining Māngere Road from Special Purpose – School to Terrace Housing and Apartment Buildings (THAB) and land adjacent to Hospital Road from THAB and Single House zones to Special Purpose – School in the Auckland Unitary Plan. The Committee agreed to publicly notify a private plan change request from Goodman Property Trust to rezone 614-616 Great South Road, Ellerslie from Business Park zone to Mixed Use zone in the Auckland Unitary Plan. The first housing monitoring quarterly report, required under the National Policy Statement on Urban Development Capacity, was received by the Committee. National Policy Statements are a legislative tool in the Resource Management Act. They allow central government to set objectives and policies for matters of national significance which all local authorities must implement within their planning framework. The National Policy Statement on Urban Development Capacity became operative in 2016. A copy of the first quarterly monitoring report is available in the meeting agenda on the Auckland Council website. Local authorities are required to provide quarterly reports monitoring a range of housing and land indicators. Auckland Council’s next quarterly report will be made to the Planning Committee in February 2018. The Committee received the preliminary high-level findings of the housing development capacity assessment required under the National Policy Statement on Urban Development Capacity. The national policy statement requires the council to undertake a housing and business development capacity assessment by 31 December 2017. The assessment is not a forecasting tool. It is a commercial model that provides a snapshot of development capacity at a moment in time. As this is the first assessment under the national policy statement no trends or patterns can be assumed. The model will be re-run early in the New Year to produce a final assessment for the council’s response required under the National Policy Statement late in 2018. A record of memos or briefing papers distributed to committee members over the past month which are available online in the meeting agenda. The Refresh is out for consultation from February next year. That is a wrap from the Planning Committee as we go into the Summer break!